For both Medicine and Biomedical Sciences, it is possible to do master level research internships at research departments. 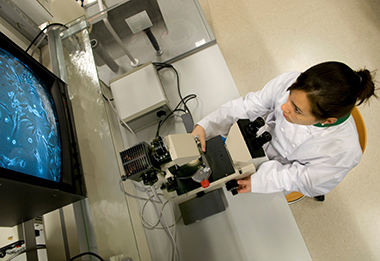 At Leiden University Medical Center, clinical and fundamental research evolves mainly around the seven medical research profiles. Are you interested in doing a master level research internship? We would be happy to help you find a place that matches your interest. You can apply if you are a master student in Medicine or Biomedical Sciences and meet the other admission requirements. You can register through the online registration system and will be asked to upload a motivation letter and several other documents. In the remark field, you can list the top five of LUMC research topics that you find most interesting. An overview of the research themes and departments is listed below. A list of research departments can be found on the LUMC website.